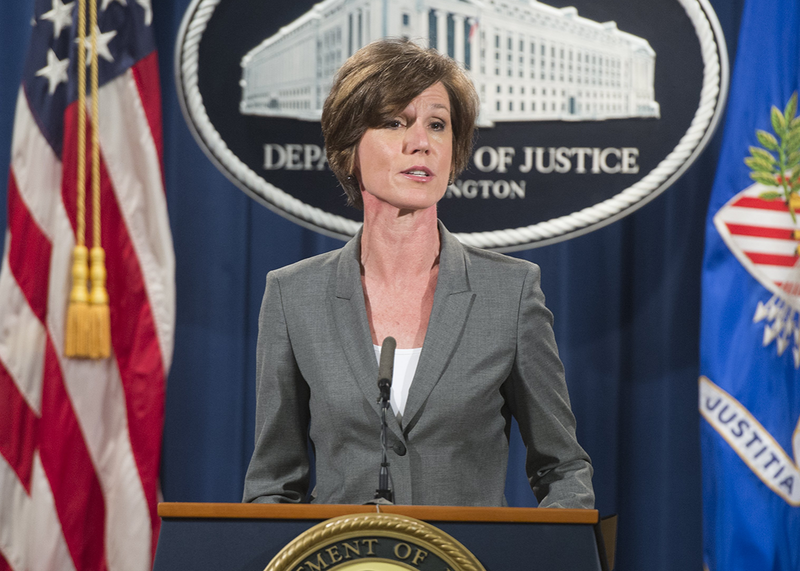 Sally Yates, the acting head of the Justice Department, has been fired for refusing to defend Trump's immigration ban. Former Acting Attorney General Sally Yates. The firing of Yates represents a spectacular example of Trump lashing out at a person who has dared to assert a moral vision that conflicts with his squalid and fearful worldview. The move looks all the more gratuitous and petty given that Yates was imminently on her way out the door anyway: As a holdover from the Obama administration, she took the job of acting attorney general on an interim basis while Trump’s pick for the permanent position, Alabama Sen. Jeff Sessions, went through the Senate confirmation process. 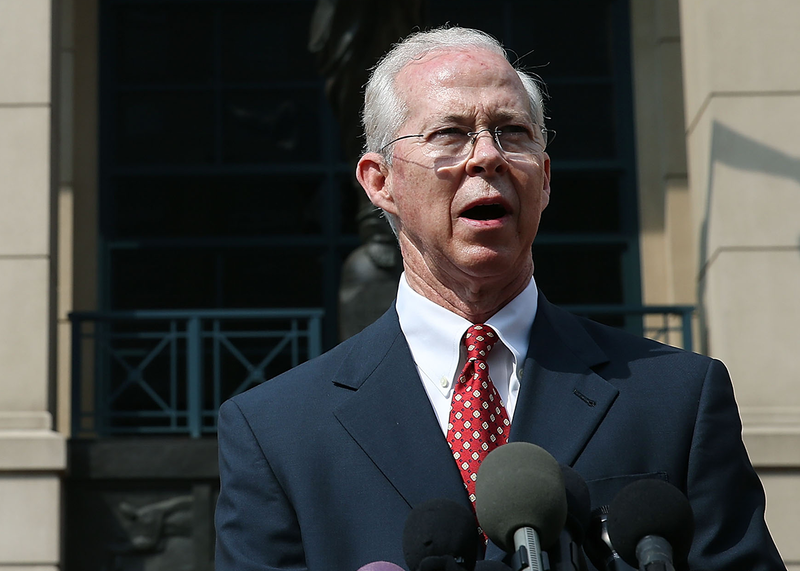 Dana J. Boente, the new Acting Attorney General of the United States. The move has already drawn comparisons to Richard Nixon’s “Saturday Night Massacre” of Oct. 20, 1973, in which his attorney general and deputy attorney general, both facing demands from Nixon to fire special prosecutor Archibald Cox, resigned in protest. Nixon appointed Robert Bork the acting attorney general, and Bork fired Cox. Know something? Work in the Department of Justice? Email us at tips@slate.com. Read more in Slate about the Muslim travel ban.